Do you sell kitchen appliances online? Well, there are always certain reasons why many people consider selling kitchen appliances online as a lucrative business. Especially, if you can take advantage of people’s love for the kitchen and cooking area since everyone likes new kitchenware even when they are not a good cook or chef. 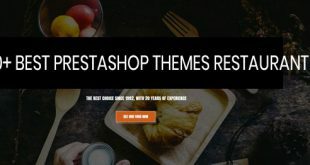 Therefore, we collect here in this blog top 10+ Best Kitchen Prestashop Themes for Kitchen Appliance and Decor Online Store in order that you can have some new ideas for this business field. The very first template in this collection is Leo Icook – one of the best kitchen Prestashop 1.7 themes for Kitchen Tool, Cookware, Kitchenware. 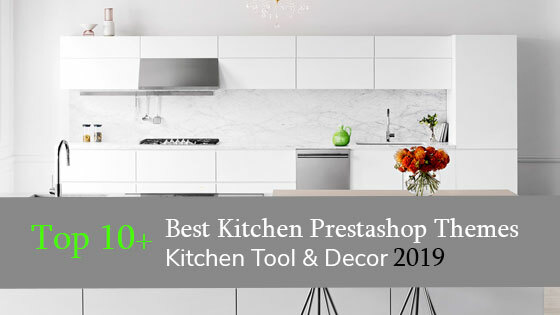 This kitchen Prestashop theme is attractive with the large and full-width slideshow, which helps you to approach your web-visitor quickly with provoking images of what kinds of product you are selling on your website. Also, Leo Icook is 100% responsive that makes your website look stunning on any devices, allows your customers to view and shop right on their handset like mobile phone. You can also edit or custom your site right at the homepage with the handy Live theme editor. It is to say Leo Icook provides you with all the needed features of an eCommerce online store. Stay in the second rank of the collection is Leo Uniware, which is specially designed for Kitchen tools store and can be adapted to any online eCommerce store as it owns a well-structured and neat layout. You can show as many products as you want with a lot of categories right on the homepage. Leo Uniware also provides you with a lot of handful toolkits for your marketing campaign like Today’s Deal with Countdown widget, multi banners with Sale Off items to attract your clients. One of the most outstanding parts of this best kitchen Prestashop themes is the powerful megamenu in horizontal style right at page top. This menu empowers you to set up columns or rows with icons and images, improve your site’s navigation in order for your clients to find their desired items in seconds. The next online kitchen store is Leo Untara with a very elegant look. This Prestashop theme is made from our dedicated developers for better user’s experience. Leo Untara is suitable for any e-commerce stores, especially designed for online stores to sell cup, glass, tea, coffee, tool, accessory, etc. It is 100% responsive so it’s nicely displayed in any screen sizes like desktop, laptop, tablet or mobile phone. Leo Untara is the perfect combination of powerful Prestashop themes. It is to mention Live Theme Editor and Drag/Drop page builder, Awarded Drag/Drop mega menu module, Revolution Slideshow module, Smart blog module, and many more modules. Leo Bestserve is a Free Prestashop 1.7 Theme with a clean, powerful HTML5 responsive theme design. Before getting into the Pro-version with full module features, you can consider experiencing the Free one beforehand to see how wonderful this kitchen Prestashop theme is. Leo Bestserve will be a smart choice for your Furniture, Home Decor, Restaurant, Kitchen Appliances online store. With a very clever design and elegant look, Leo Bestserve will surely help you promote your furniture business. Leo Bestserve supports multi-languages and currencies, these modules are shown right on the top to give web-visitors a handy tool right after they enter the webpage. With Live Theme Editor and Panel Tool, you can easily change the layout mode to boxed large or choose the Float header style or not in real time. 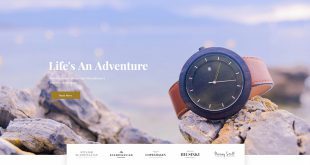 Bos Voyage is one of the best kitchen PrestaShop Themes which is perfect for any e-commerce business as Home Decor, Interior Furniture, tables, chairs, cabinets, beds, lights, vases, … With Bos Voyage, you can fast and easily set up your e-commerce websites. 1-click demo installation helps you to import all 05+ beautiful Homepages Sample & other helpful pages at ease. Moreover, Bos Voyage is available with 7+ product detail layouts so you are free to choose which layout to show your product’s details toward your customers in the most intuitive and effective way. It is a must to say that Leo Wooden is a very beautiful, modern and minimal responsive Prestashop theme for kitchen online store. It can be adapted to any other products’ stores like Clock, Wooden product, Furniture, Home Decor, Interior, Art & Culture, etc. 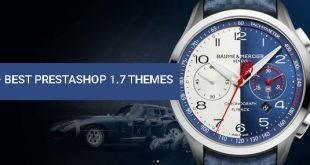 05+ available homepages with unique designs to give you more choices for your shop’s appearance. it also supports Css3, Html 5, RTL language layout and Bootstrap 3 Framework that help to create refined web pages with semantic accuracy and highly customizable Prestashop theme. 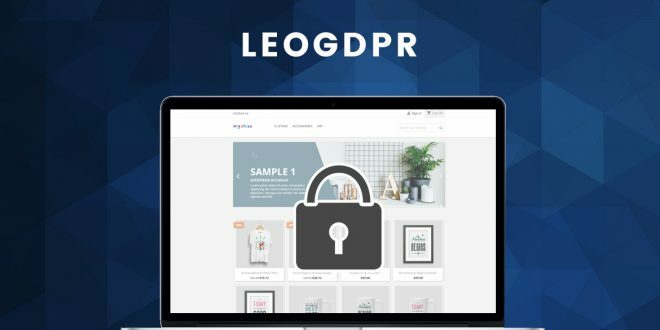 Leo Wooden Responsive Prestashop theme comes with lots of built-in functionality which included powerful admin panel will help you manage your site better, customize easier. Unique, modern and innovative are true words to describe Leo Cool Stuff’s design. This responsive 1.7 Prestashop theme deserves to be highly recommended for stores and businesses to showcase their products like kitchen appliances, cookware, bakeware, tableware, kitchen tools, dinner sets, home decor, and furniture and all related products. Leo Cool Stuff is packed with best features and powerful extensions that are offered for free. This responsive Prestashop kitchen online store is guaranteed with speed and SEO optimized best kitchen Prestashop themes. Coming with 05+ distinguish premade homepage demos, your clients will never get bored with your shop but make your shop the best place to shop kitchen tool and decor online. Leo Martin Responsive Prestashop theme is specially designed for Kitchen, Furniture, Interior, Home Decor store. This modern and innovative theme is totally responsive and comes with the best Prestashop features. Leo Martin for furniture online store is easy to use and install with Seo optimized. It integrates with strong Prestashop modules so that you don’t need to buy other solutions from a third party but still have a rich-feature eCommerce website and the control is in your hand. Moreover, Testimonial, Blogs & Newsletter which help you manage and receive feedback, comments, complaints about service quality, product quality and answer customers quickly. Countdown widget is shown right at the homepage will be an effective tool for your marketing campaign. Leo Grand owns a luxurious outside look from the elegant color to clean and neat layout. It is integrated with wonderful features like special visual effects, animation, and owl carousel, which gives the user the smoothest experience. 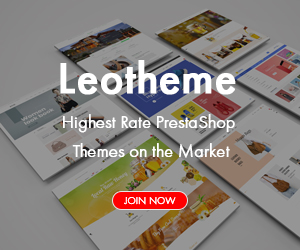 Leo Grand Prestashop Theme is suitable for any e-commerce stores, specially designed for Furniture store, Luxury interior store, wooden product store, Jewelry store, etc. It is more lightweight since the Block Group Top module with the combination of Languages, Currencies and Customer Info into 1 module. Last but not least, Leo Hannah with 05+ unique available homepage demos will never let you down. Leo Hannah is perfect for any online stores to sell products like Home Decor, Furniture, Wooden product for your kitchen, living room, bedroom, etc. Moreover, Leo Hannah kitchen store Prestashop theme is built with fantastic drag n drop Page builder to build the stunning stunning page in minutes. It integrates with lots of widgets and modules to save you tons of time to build content. This responsive Prestashop theme is outstanding with unlimited color support, brand logo slider, magic slideshow module, back to top button, intuitive powerful admin panel. It is very easy to use and install with one-click-installation. What Prestashop template do you like most? If you are using one of these, let share your experience in the comment session below!